One of the best parts about publishing this website is getting turned onto new bands, new albums, new music. Today I’m going to spotlight a new album by a band from Nashville, Tn. Let me introduce you to Ashley Beth, Dave Beth, Al Plourde, Russ Dean and Dan Leveillee. Collectively, they’re known as Sugar Lime Blue. Yes, I indeed did mention Nashville. However this is not a country act. Sit back, close your eyes and think about artists like the Grateful Dead, Little Feat, Edie Brickell and even Renaissance’s Annie Haslam. Now mix them in with R & B acts Al Green, Bill Withers, maybe some Otis etc. Ok, now you have the idea! Their album is called Far From the Tree. That’s also the title cut and one of the best tracks on the disc. My personal favorite found here is “Go Home.” After speaking to Dave, he informed me that that is the song that radio have taken to also. Would that be one of those “Great Minds, etc. “ type of moments! As a bonus, I’ve added a recent video of Ashley and Dave bringing us an acoustic version on “Go Home” from a television broadcast. 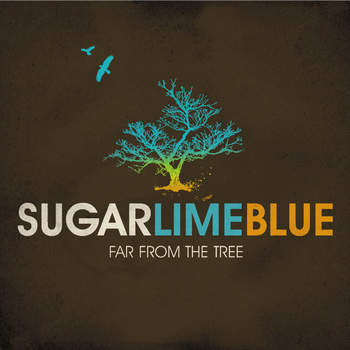 Sugar Lime Blue, Far From the Tree with its nice laid back groove to it. It’s perfect for a Sunday afternoon.